Christmas is a wonderful time of the year. Christmas carols play on the car radio. Billboards proclaim peace on earth. Television commercials are filled with beautiful scenery and heart-warming messages instead of reasons to buy. Catalogs come in the mail with cover photos of red pick-up trucks with Christmas wreaths on the grills in a snowy scene. Red, white, and green everywhere. Oh, the most wonderful time of the year for beautiful images everywhere. Beautiful images inspire us to create beautiful scenes in our own homes as we listen to the latest Pentatonix album and bake snickerdoodle cookies for a cookie exchange. Here are five of my favorite small scenes created around my house this week. They may not become a television commercial or catalog cover, but they create some Christmas magic at my house. 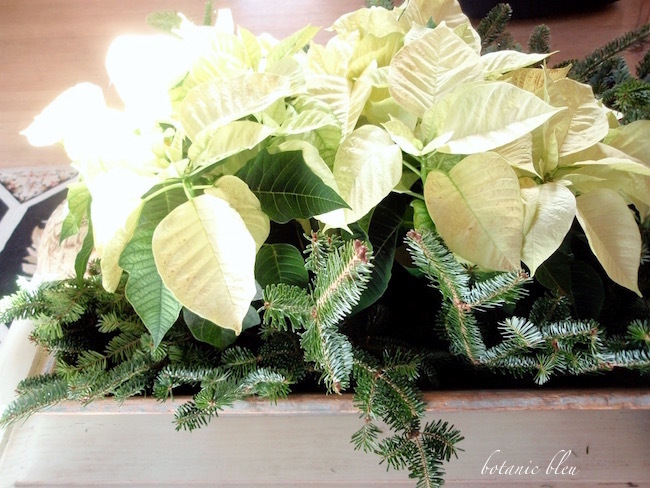 Poinsettias, paperwhites, and fresh evergreens abound at my house every Christmas. Santa also abounds at my house. 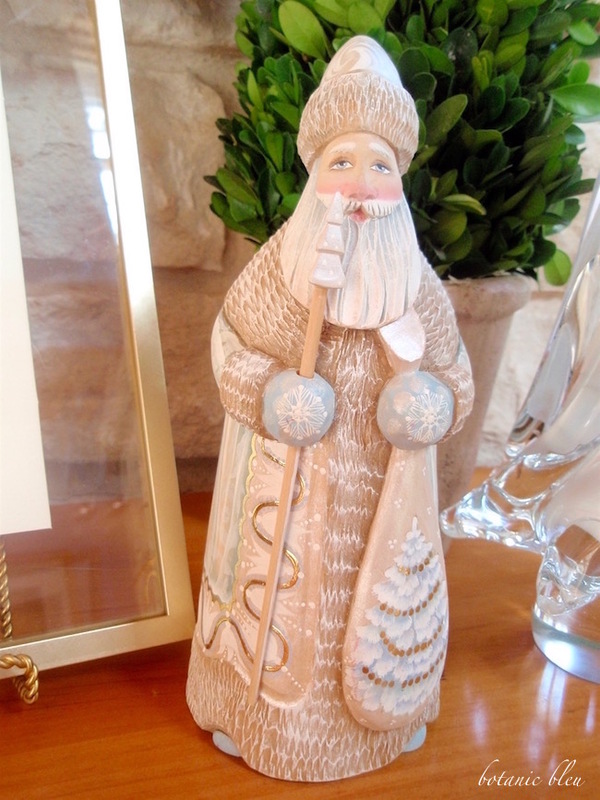 From small Christmas tree ornaments to large hand-carved wooden Russian figurines, Santa is one of my favorite Christmas figures. One of my favorite new Christmas ornaments this year is a Noël stamped vintage silver plate spoon. Stamping silver is harder than it looks. Even though I measured and marked where to stamp each letter, the O is jumping for joy instead of marching in line with N, E, L.
French inspiration abounds throughout the year, not just at Christmas, in my house and garden. 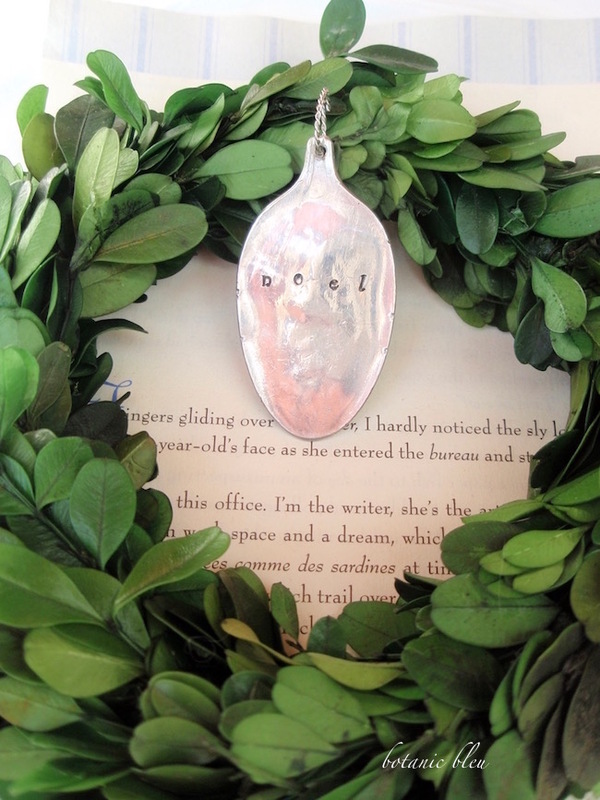 At Christmas time, there is an extra abundance of Noël inspiration. Each year in November I plant several pots of Ziva paperwhites to bloom during the Christmas season. 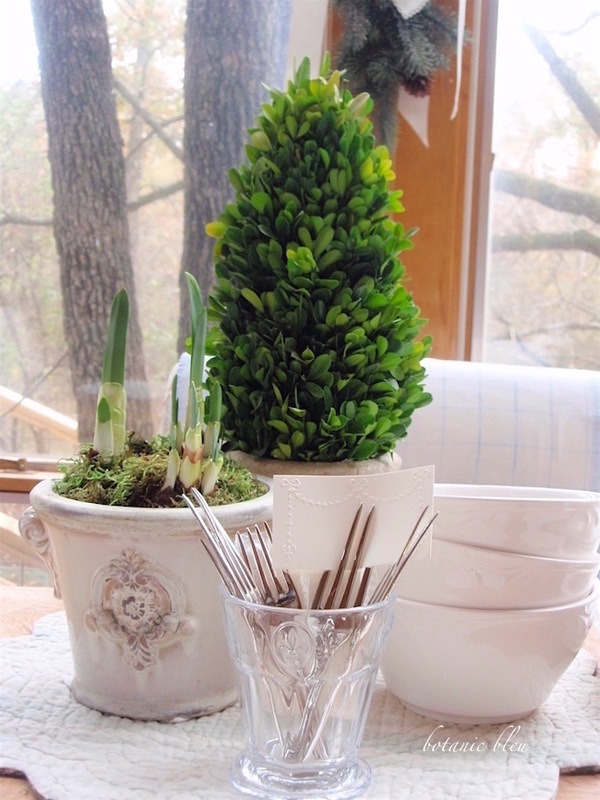 This Christmas, the paperwhites are in French-style ceramic pots. The vintage French silver plate fork tines are repurposed as card holders for place cards or for identifying cheese varieties. Even upside down the new glittered-edge papier mâché star on the living room mantel adds French inspiration to the mantel's Christmas decor. 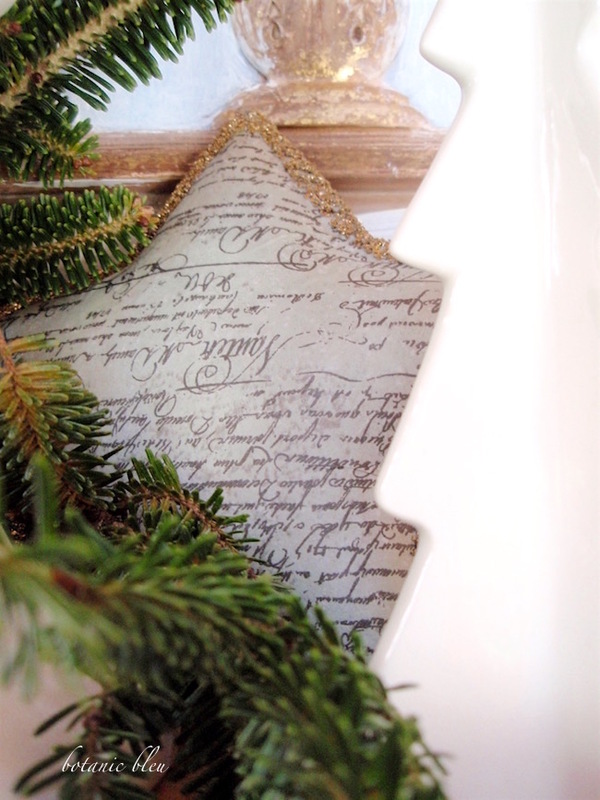 Soon there will be a post with several snaps of the white Christmas mantel decorated with ceramic white trees (the edge of one tree is visible above), paperwhites, and French-script stars. I love this time of year when the whole world seems to honor the beauty and the spirit of Christmas past, present, and future. 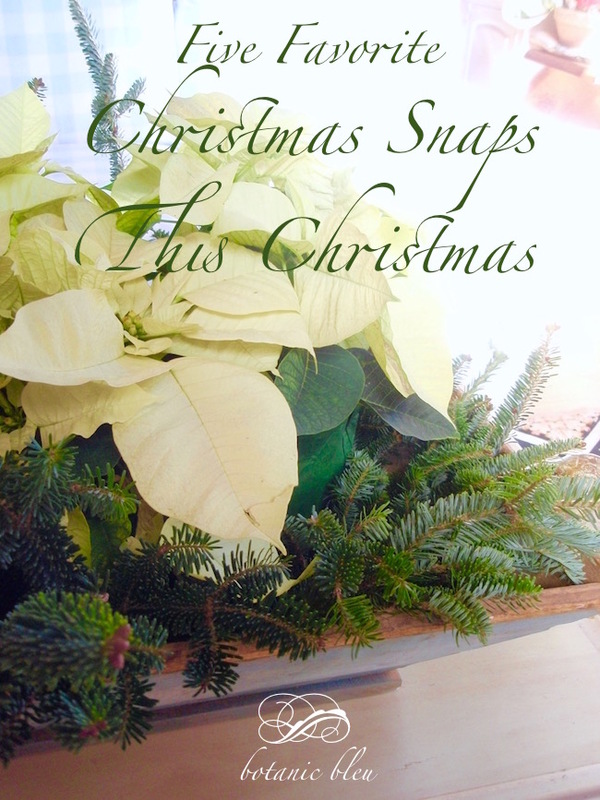 May your world be brighter with beautiful Christmas images. I have always wanted to stamp words on silver. I am so impressed that you do it! Your Christmas highlights are just lovely. I'm hoping to make it to your shop tomorrow. 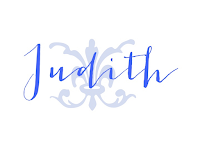 Judith, the "NOEL" looks perfect to my eye. It's whimsical! Pretty photos. I think number 4 is my favorite. Love this. The Santa is darling. I love your holiday decor! I am jealous of your paperwhites too! I found some at a local grocer and they did not have nay smell, they were some small flower variety. I need to find some like yours! 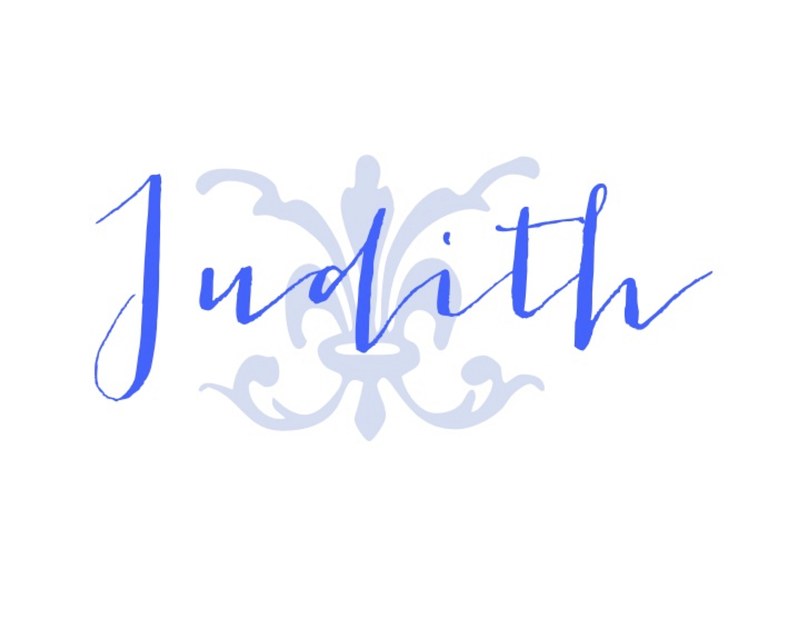 Merry Christmas Judith! Thanks so much sharing at AMAZE ME MONDAY!